Sometimes I just want something sweet. If I make a pan of brownies or a “pan” of something I start out by eating a corner…then a row…and by the end of the day 1/2 the pan is gone. Not really. Well maybe sometimes. 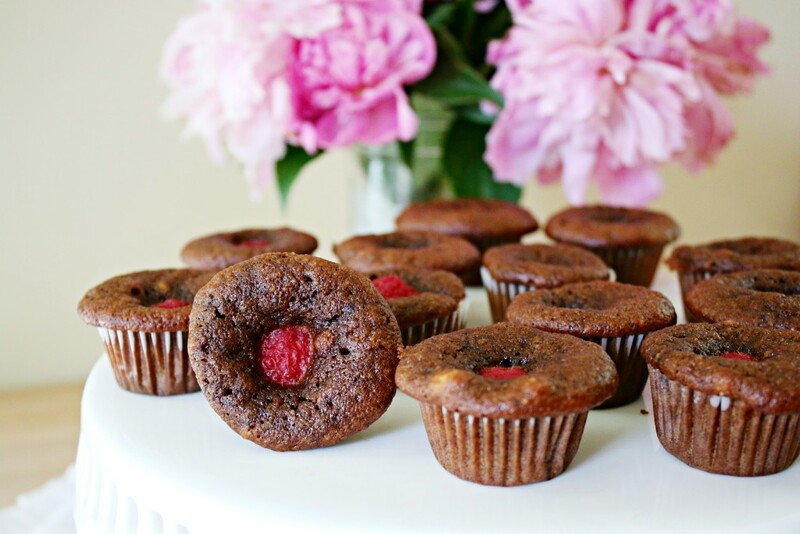 These little raspberry bites are not only gluten free, they are made with honey. No white flour. No white sugar. Makes me feel a bit better about not only eating them myself but feeding them to my kids. (Oh-they do have a soy-free chocolate chip in the center of each one…) I guess you have to live a little. 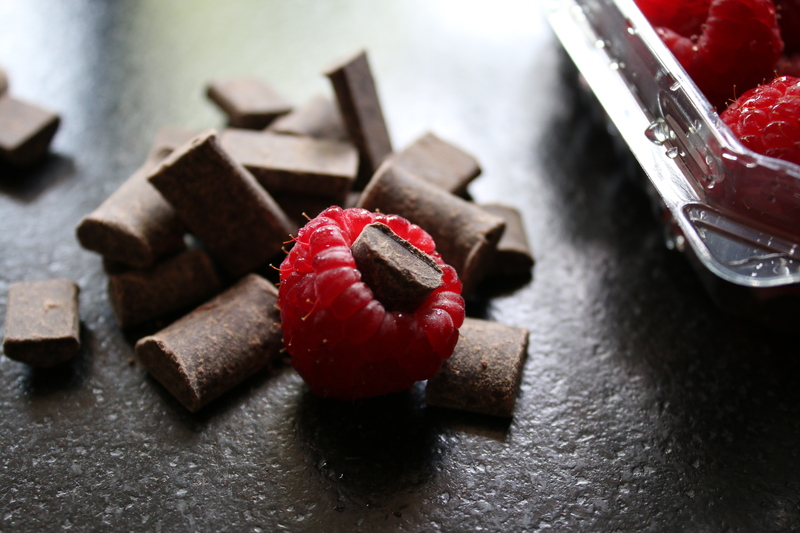 These little chocolate raspberry bites would be perfect for a brunch or when you have company over – just a nice little something after your meal is over with. 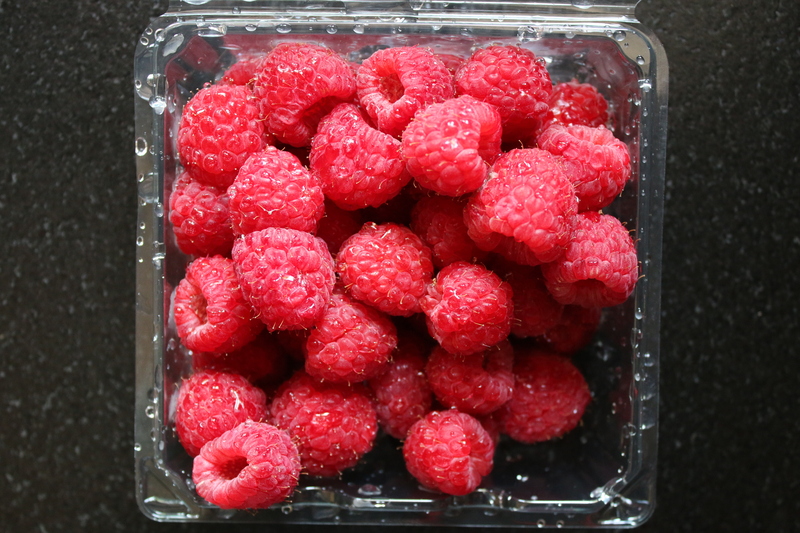 I started out using beautiful fresh organic red raspberries. And soy free mega chips. I stuffed 1 mega chip in each raspberry. We ended up having the exact right amount of raspberries as we did cupcakes. Probably couldn’t do that again. 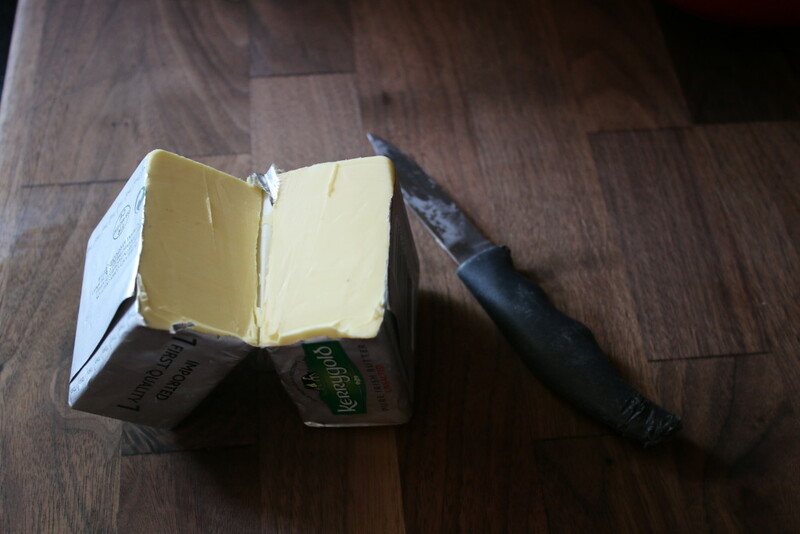 I used 1/2 cup of Kerrygold Unsalted butter. Only way to go. Add in the honey to soften. 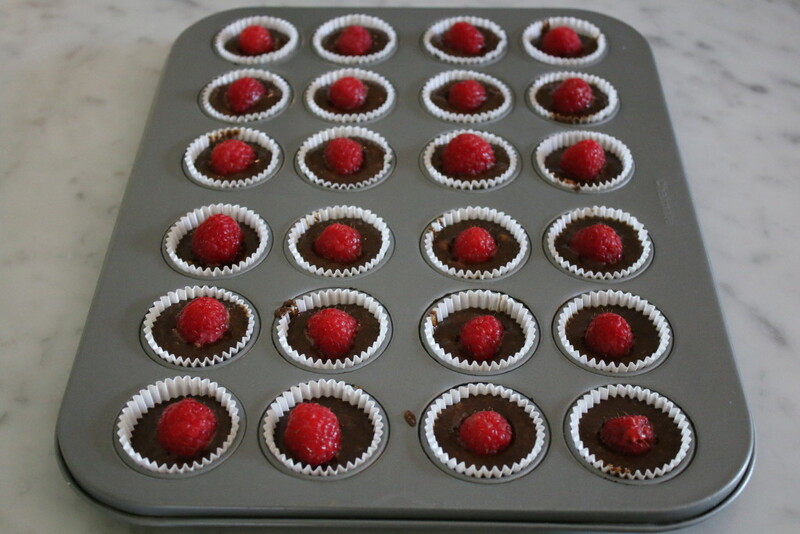 Add in cocoa, almond flour, baking soda salt and vanilla. 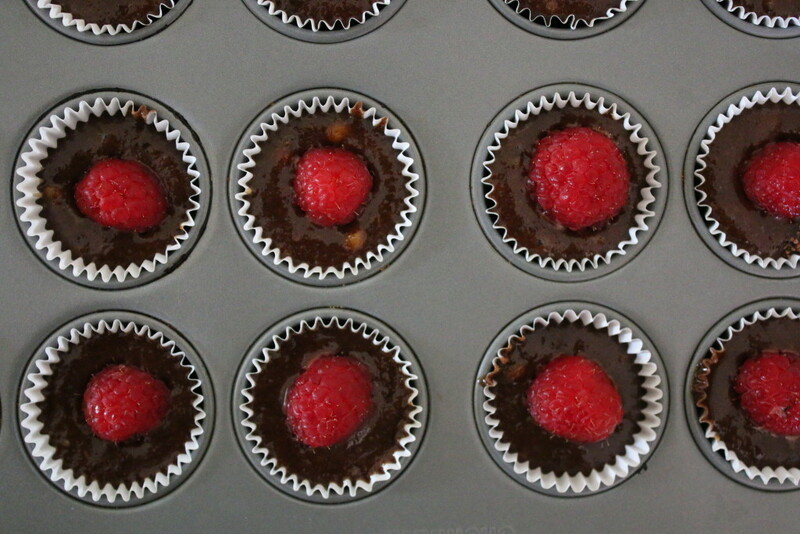 Spoon into mini muffin tins. 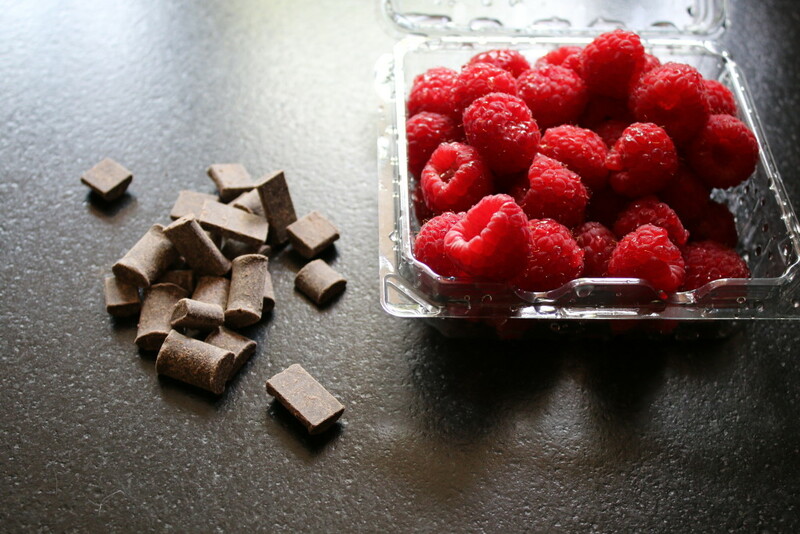 Put a chocolate chunk into fresh raspberries and put raspberry into the center of the batter - chocolate side down. Bake for 12-18 minutes at 350.